Check out the second in a four part series covering our pick of the best resorts in Nagano and Niigata prefectures. 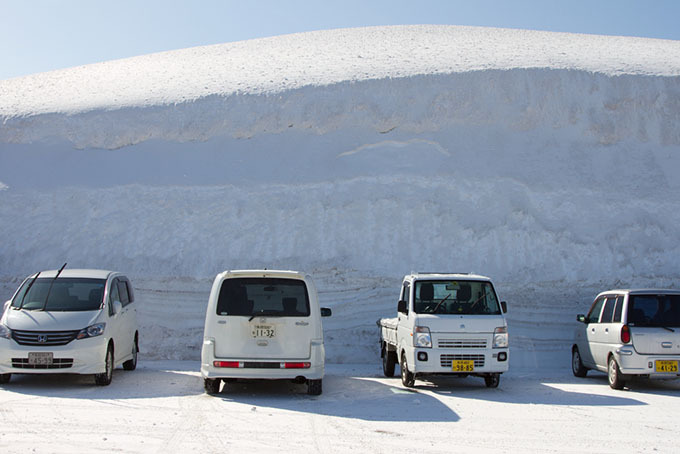 Myoko Kogen is the powder mecca of Honshu. It scores over 12 metres of pow every season. You’re sure to get your fix of the white stuff here. Most of the resorts in Japan are very strict towards off-piste riding, however Myoko embraces it, providing endless options for steep and deep terrain. 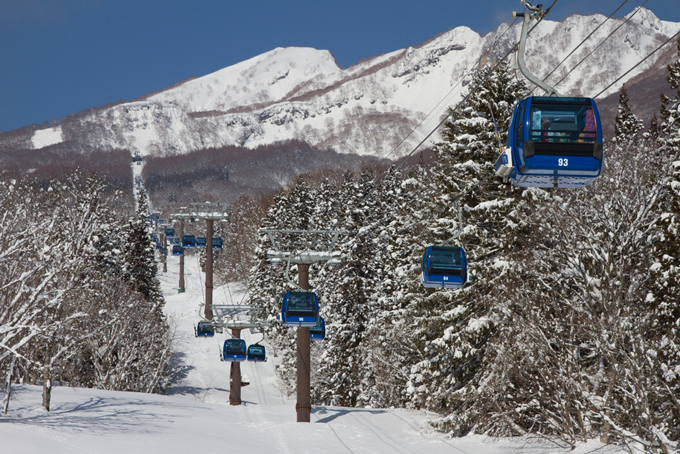 The Myoko area is made up of several ski resorts, including the two main ones: Myoko Akakura and Seki Onsen. They offer terrain to challenge all types of riders. 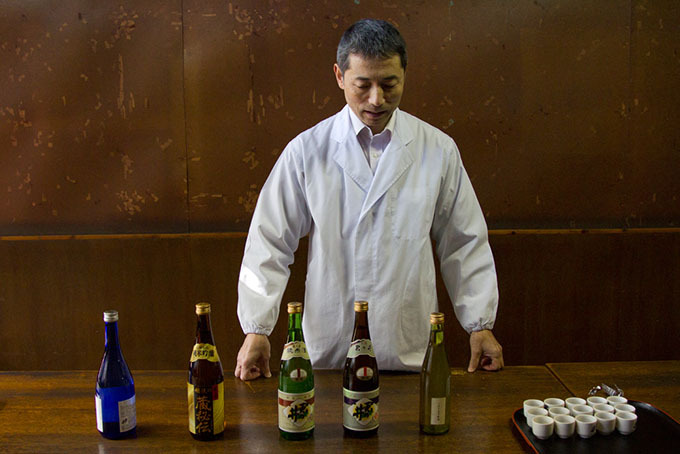 Myoko, similar to Nozawa, offers quite a traditional Japanese cultural experience, boasting a large array of onsens and ramen houses. 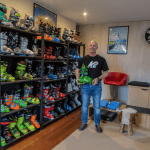 Clint Allan claims he would move here in a heartbeat and never leave if he didn’t have a girlfriend in Sydney – think about that for a moment. Myoko Kogen is located one hour north of Nagano in the Niigata prefecture, positioned right in the middle of the Joshinetsu National Park. From Narita Airport the best way to get there is to take the bullet train to Nagano which is approximately around 90 minutes, then from Nagano get the Shinetsu train line to Myoko Kogen Station. Most resorts and accommodation options are within ten to 15 minutes of the station, so a cab ride from the station is your best option. 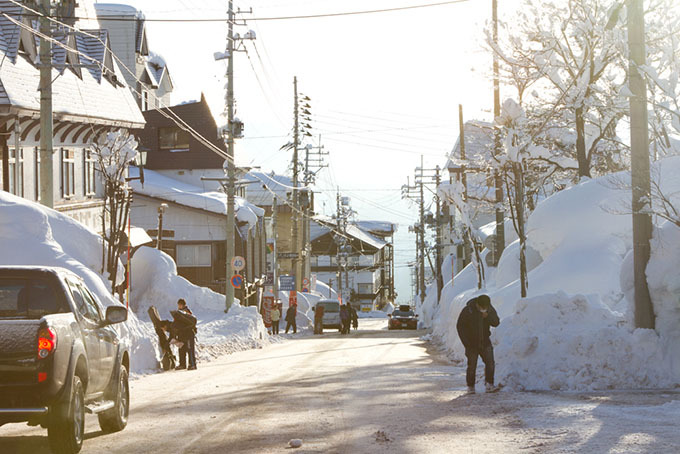 The most popular place to stay in Myoko Kogen is in the Akakura Onsen village, it offers a great variety of restaurants and bars, it is also a convenient place to stay in order to access all the resorts in Myoko Kogen. The accommodation options vary from western styled rooms to tatami mat beds. Akakura Onsen has lots of bars to get the party going, hit the Hunter Bar for food on the top level and then head downstairs when it’s time for karaoke and more beer. 9/10. The four of us had the best powder day of our lives at Myoko Kogen. If you’re after deep turns, pillows, avy barriers, trees and jumps, you will find them all here. As the resort is still growing in popularity, first tracks are still easy to find if you’re hungover and missed first chair. 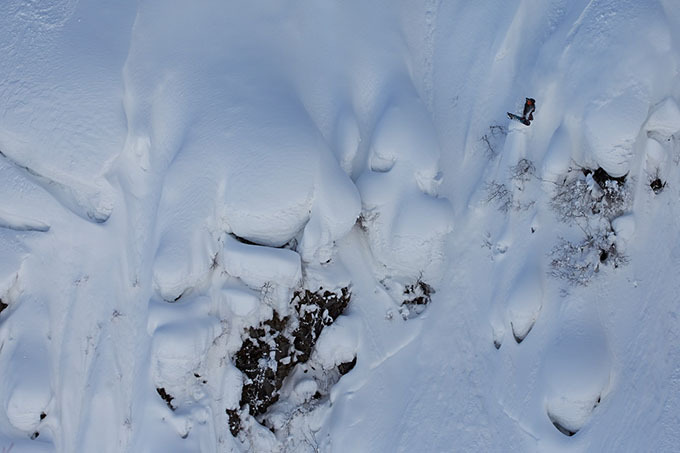 Go get yourself a splitboard or a pair of snowshoes and explore the sidecountry that Myoko has on offer. If you want to score right off the bat, book a guide for the day to show you around. Remember to always be safe and be prepared for avalanches. On a day with heavy snow loading and rising temperatures we triggered large slab that propagated about 150m across the slope just a stone’s throw from the resort.